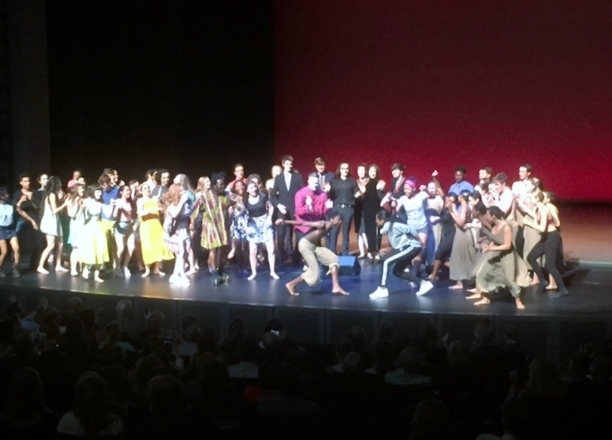 Last week I had the joy and privilege of attending the final school show presented by graduating seniors at this wonderful city academy of the arts. The talent, skill and enthusiasm of the performers, writers, artists, designers, choreographers, singers and musicians was simply remarkable. What if every school encouraged the creativity of each student, nourishing and sustaining that fragile seed of inspiration and imagination until it grew sturdy and strong? These students will go into the world and enrich us all with their gifts. I applaud and thank them for their training, dedication and the love they showered on the audience that night for their art.